Chopra Center.” said Lex Lang, co-founder of H2Om. 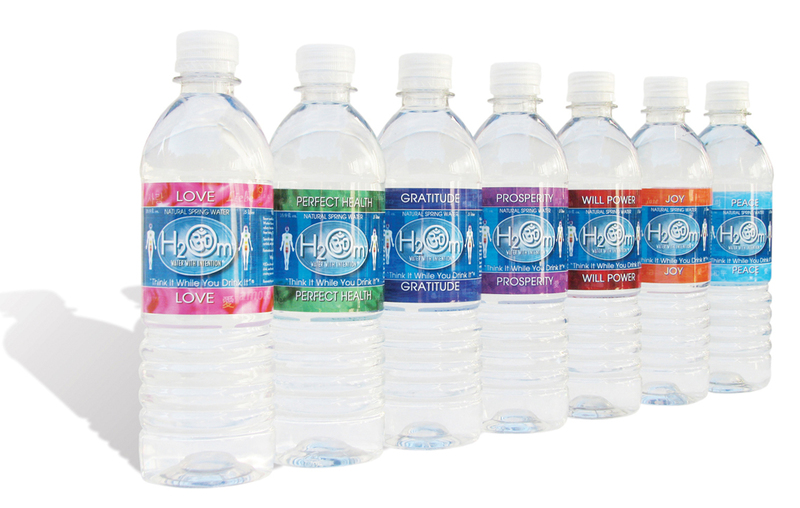 H2Om International, Inc. the respected company known for creating “water with intention”, their original interactive natural spring water line that incorporates positive words on the labels as inspiration for creating intention as part of a healthy lifestyle, released further details today of their 2012 alliance with The Chopra Center located in Carlsbad, California. The Chopra Center for Well being was opened in 1996 by Deepak Chopra, M.D. and David Simon, M.D. to help people experience physical healing, emotional freedom and higher states of consciousness via a wide variety of programs that integrate the healing arts of the East with the best in modern Western medicine. 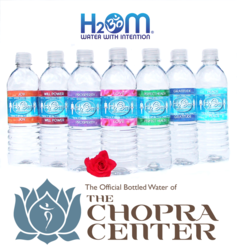 As part of The Chopra Center’s goal in guiding their guests to nurture their own health, restore balance and create fulfillment in their lives, they have selected H2Om Water with Intention as their Official Bottled Water. 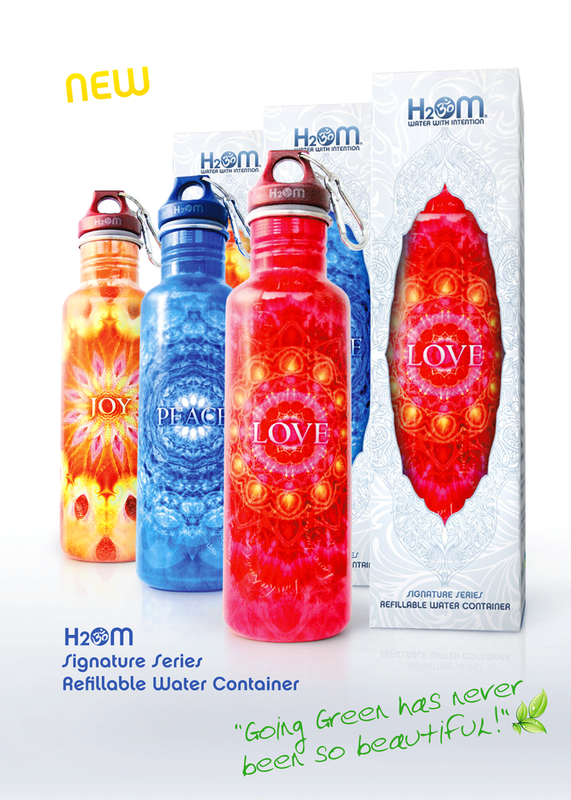 H2Om Water with Intention was launched in February of 2006 as the world’s first eco friendly water brand that encourages personal transformation via their distinctive positive labels and branding. Awarded the Gold Medal for “The Best Tasting Water in the World” at The Berkeley Springs International Water Tasting and featured in TIME Magazine and The Wall Street Journal as the innovators of inspirational water, H2Om has gained the attention of press and celebrities worldwide. Their seven intentions of water include Love, Perfect Health, Gratitude, Prosperity, Will Power, Joy and Peace. Their interactive slogan is “Think it While you Drink It”®. “Besides our specially designed labels, H2Om is the first natural spring water in the US to be bottled in an eco friendly container made from REGENERATE®, a 100% recycled safe BPA free resin. This was a very important factor in the Chopra Center’s decision to select us. 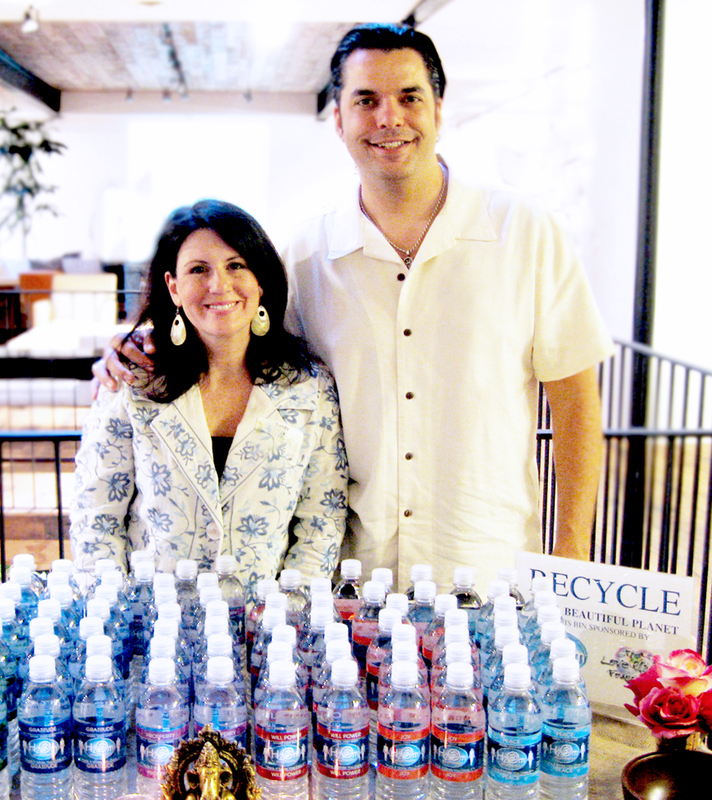 They recognize our commitment to environmental sustainability and our mission to provide a clean natural spring water that encourages conscious transformation on a personal and planetary level.” said Sandy Fox, co-founder of H2Om. In 2010 H2Om was celebrated in the Global Bottled Water Congress for their ethical and humanitarian initiatives and their work with organizations like The Emoto Peace Project, The Samburu Project and The Love Planet Foundation, which are dedicated to global water projects and the preservation of our natural resources for future generations. In 2011 H2Om released their Signature Series eco-friendly stainless steel refillable containers with intention and anticipate that 2012 will be their most successful year to date. “We are delighted to be the exclusive bottled water of such a meaningful organization. Working together is an honor and a privilege and we envision a long and healthy relationship with The Chopra Center.” said Lex Lang, co-founder of H2Om.